A new Legoland Discovery Center opened at Crown Center in Kansas City, Kansas yesterday. According to local Fox affiliate Fox4kc.com, hundreds of kids and parents attended the opening. The opening of the center in Kansas brings the number of Legoland Discovery Center’s operating around the world to seven. There are also centers in Chicago, Dallas/Ft. Worth, Atlanta, Ruhrgebiet, Berlin, and Manchester. A Tokyo Legoland Discovery Center is scheduled to open on June 15th, 2012, according to information from http://www.legolanddiscoverycenter.com. The centers are much like indoor mini-Legoland theme parks. 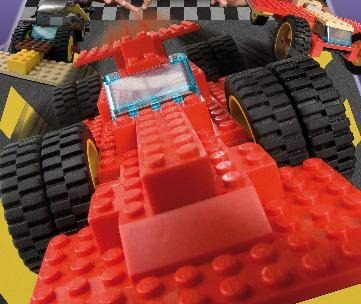 They feature models, attractions and rides based on Lego building toys. Like the larger full-size theme parks, they generally have miniaturized models local attractions, rides (not the full sized versions you find at the theme parks, of course), some educational attractions and 4D movies. The centers charge an admission fee which varies quite a bit from center to center. Both the Legoland theme parks and the Discovery Centers are owned by a UK based theme park company called Merlin Entertainment. Despite the worldwide weak economy, they seem to be expanding by leaps and bounds. Just last fall they opened a new theme park in Florida. More full sized theme park are on the way: Legoland Malaysia, is set to open in September, 2012, Legoland Japan, and Legoland Korea are planned to open in 2015, and Legoland Dubiland (Dubai, UAE) was set to open last year, but has been delayed. A 250 room Legoland hotel is set to open near their California theme park next year.